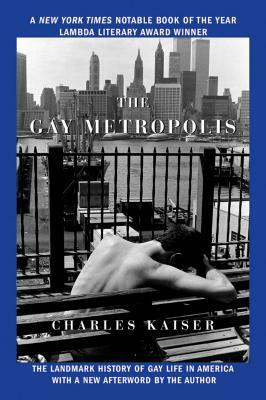 A New York Times Notable Book of the Year and winner of a Lambda Literary Award, The Gay Metropolis is a landmark saga of struggle and triumph that was instantly recognized as the most authoritative and substantial work of its kind. Filled with astounding anecdotes and searing tales of heartbreak and transformation, it provides a decade-by-decade account of the rise and acceptance of gay life and identity since the 1940s. From the making of West Side Story, the modern Romeo and Juliet tale written and staged by four gay men, to the catastrophic era of AIDS, Charles Kaiser recounts the true history of the gay movement with many never-before-told stories. Filled with dazzling characters -- including Leonard Bernstein, Montgomery Clift, Alfred Hitchcock, and John F. Kennedy, among many others -- this is a vital telling of American history, exciting and uplifting.